Fantastic 2-Story Townhome! Low Maintenance Living w/Contemporary Finishes throughout! Updated Gourmet Kitchen includes New Countertops, Granite Sill Sink, New Appliances, Cherry Cabinets, Modern Backsplash & Plenty of Storage * Master Suite has it's own Updated Bath with His & Hers Closets * Custom Fireplace, Wood Floors, Newer Carpet & Plenty of Natural Light * Upstairs Guest Suite is perfect for a roommate, home office or growing family * Charming Back Patio for outdoor grilling and dining * Spacious Detached Garage * Walk to Park & Ride, Willowbrook Park, Shopping and Dining. 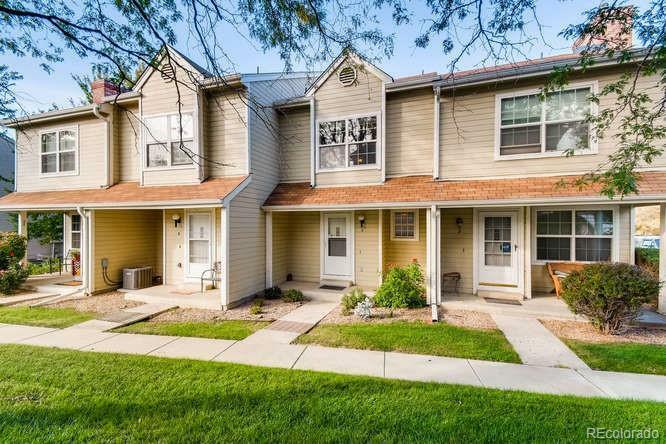 Don't miss this rare opportunity to own a Beautifully Updated unit in this charming townhome community.